Its Bugg time!! Crayfish season opens on Sunday and for the first time in a number of years it looks like we will actually have a half decent dive on opening day. For the past few years opening day has been bleak, I am not saying the conditions are great but it will be flat and there should be enough vis to find those buggs. Please dont forget your licenses! Remember that that they are only valid for the year you got them in. So if you got a license late last year it is not valid for this year. Another thing is that you are supposed to have your id book to prove you are the license holder, so have a copy of some sort of identification as well. 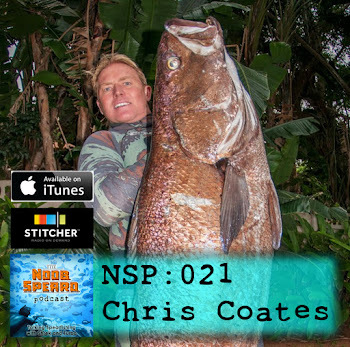 Spearfishing - The Snoek are Still On! Anyway the water has not been great but there are some patches of 3-6m water here and there, and with the early morning high tides some of the points are still producing snoek. I have had reports from La Mercy / Westbrook area all the way north of quality snoek coming out. There have been few reports of Cuta, but In think this is more to do with the lack of good water more than them not being here. As some of the paddle ski guys seem to be getting some good fish even in the merky waters. There looks like there is a small coastal low going to bring a light southerly wind today. This will make for great conditions ... lets hope the vis improves. Well after being on my back for 2weeks with some mystery illness, I am finall back on my feet and in the office. 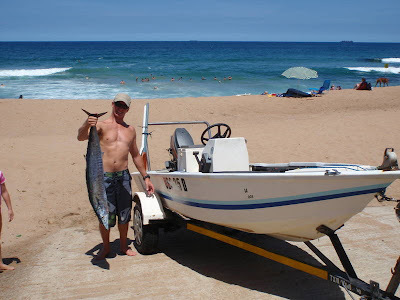 While I was down Ponta went off, the North coast had some epic lefts, and the snoek made some spearfishermen very happy when the came through in huge numbers. The water cleaned up a little over the weekend and boy keen to find the cuta did get in. Unfortunatly the Cuta just dont seem to be around in any kind of decent numbers. I will get my ear back to the ground. Hey Guys, its Club Nite Tonite!! And there is a whole lot going on. We are unveiling the new look for the club ..... Super excited about that!! Dane at Beetle Inc has had his guys put together some stuff that is mind blowing!!!! The new design for one of the shirts for this year. We will also be running through this years shirt designs and ideas for the clubs activities over the next few months. I will also be showing the guys hosw to make a basic flasher .... a must for summer cuta!! For once it looks like there is no rain and the braai will be a humm dingger! 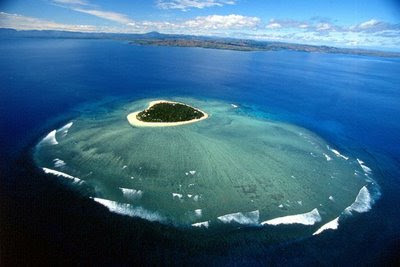 Tavarua Island - Flip just imagine the spearfishing and surfing trip you could have? 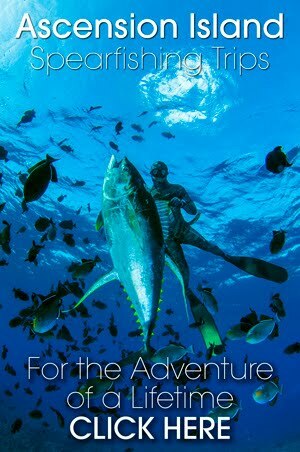 Spearfishing Tavarua, now there is a thought! Cloud Break Tavarua going mental. 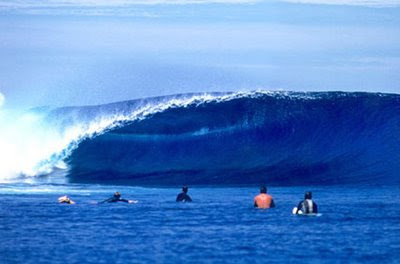 Surfersvillage Global Surf News, 4 February, 2009 : - - Encinitas, Ca -- Nixon is gearing up to take over the Fijian island of Tavarua for the third annual Nixon High Tide Hold’Em taking place February 12-21. The invitation only event pits some of action sports leading athletes in a series of competitions ranging from poker to ping pong, spearfishing to karaoke and two separate surf challenges all in the name of fun. Confirmed attendees for this years High Tide Hold’Em come from the world of skate, surf, snow, and include: Tony Hawk, Danny Way, Andy Irons, Dusty Payne, Claire Bevilacqua, Travis Rice, Todd Richards, Hana Beaman, and the return of the 2007 overall High Tide Hold’Em winner, Cheyne Magnusson. Now attending his third High Tide Hold’Em, an enthusiastic Todd Richards commented, “It’s cool to hang with the athletes from other sports. Sharing a beer, planning duets on karaoke, getting sunburned. I love it all!” Event updates, pictures and video content will be featured on Surfer magazines website the week of the contest and FUEL TV will be filming The Daily Habit from the island. We here it is in Black and White! Spearfishing and Fishing is banned at Cape Vidal, in an area that streaches for 2km along the coast and 1 nautical mile out to sea. This is sad for the sport fishing (spearfishing and skiboat) community that was already restricted to gamefish only. I just wonder how they intend policing the area, from what I know the local OIC - 'Officer In Charge' has never launch the patrol boat ...not once! But I am not sure I want to take the chance. 12'6" Ski Vee needs to find a home. 12'6 Skivee in excellent condition with 25 Yamaha. I have had the boat a year now and she has been perfect for spearfishing and fishing. We normally fish FADs that are around 6kms out so I can assure you that I really trust the motor it is VERY clean! Also keep it well serviced. Just been serviced about 3 weeks ago. I normally launch at Umdloti and I have been using a bantam to do so...thats how easy and light it is. I do have a 4x4 but the bantam works out the easiest. Dont go buy a big boat that never gets used because it is too much of a mission to launch each time. My girlfriend and I can launch this by ourselves very easily. All safety gear included including 3 life jackets. I am immigrating to OZ on Friday so would like to sell before then if possible. There seems to be a little bit of poo bieng thrown around over the barges sunk at Cape Vidal in the St Lucia Wetlands Park. Check out this artical below ... interesting reading. Just Click this link:- Cape Vidal Barge Fight Or using the tools below zoom in and read away. 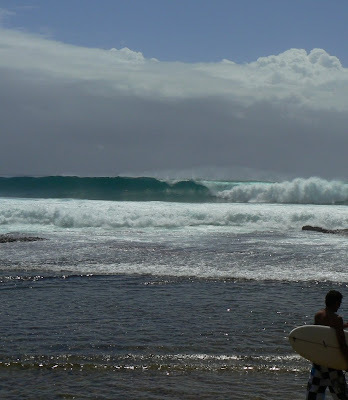 While the sea here has only just started to come right, Mike headed down the coast to East London and found a nice White Muscle cracker in a cave. Back home the sea is starting to look better but the swell looks good for surfing after this next spell of Southerlies. A couple fish did come out over the weekend with the guys on ski's, but that was amungst a whole bunch of them so it wasnt ixactly going off. This weekend (Saturday) will be a right off as there will be over 100 fishing ski's fishing a comp off Salties. So there will be little point diving at home. I suppose it is just one day!! 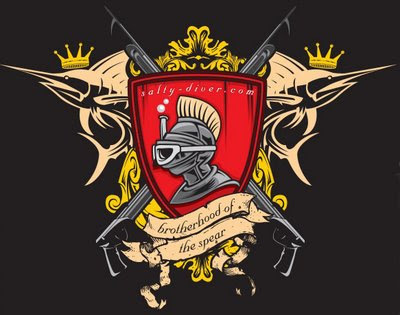 This Friday nite the Salt Rock Spearfishing Club's monthly meet. This a key evening as we will be setting things up for the year. Club Fees & what we will be doing as far as shirts or jackets for the year. And we are currently in the throws of redesigning the Club logo and web site, and I am sure there will be some discussion around this. We will be doing the "Dop n Chop" thing at my place...... and the long term forecast shows no rain!!!! This will be a good one to invite some mates ...oh and bringing the wife and kids is a must!